Colloidal Silver Healer - make your own ionic/colloidal silver! Silver Healer produces a nano-particle blend of ionic and colloidal silver that can be easily absorbed by the body. It is one of the most powerful natural antibiotics in existence. Make your own high-quality ionic/colloidal silver for the price of distilled water! 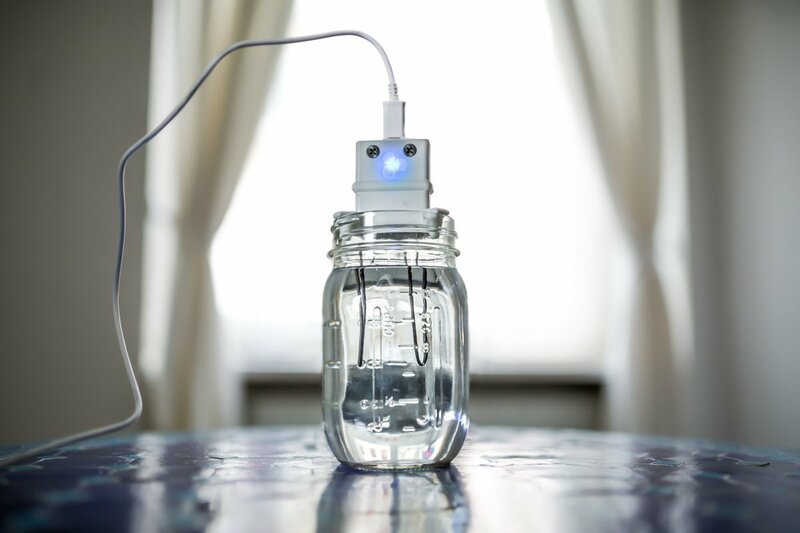 We scoured the market to find the most cost efficient, high-grade, portable ionic/colloidal silver generator in the market. For maximum health benefits, Silver Healer produces a nano-particle blend of ionic and colloidal silver that can be easily absorbed by the body. It is the most powerful natural antimicrobial in existence, which means you can give up immune-disruption antibiotics and stay healthy the natural way. Silver Healer is extremely simple to use; and it’s the only solution in this price class that uses a custom microprocessor to make sure particle size is optimized. Silver Healer pays itself back in less than two months if you are an active colloidal silver user (one ounce of colloidal silver in health food store costs $18-20)! Silver Healer is travel size and with 100% quality guarantee and 30-day return policy. We also have customers who have successfully used Silver Healer to treat herpes, MRSA (silver is the only known agent to kill superbugs), tuberculosis and symptoms of immunodeficiency disorders. The list goes on. RETURN POLICY: 30-day return policy (must be unused). Mason Jar. Cable. Lid. Charger. Microprocessor unit. Silver rods. Holster. The Silver Healer is very simple to use. All you do is pour distilled water into the sixteen ounce mason jar, plug in the machine, and then you can forget about it for a few hours if you like. The machine passes a constant, low electric current through its silver rods, which causes silver ions (charged atoms) to go into the water. The process takes about two hours. You’ll know it’s done because you’ll find that the steady blinking blue display will have changed to green. Prior to running, the machine will test the water and will refuse to operate if it senses any conductivity in it. Only distilled water contains no trace of an electric charge and can thus properly conduct the silver ions. If tapwater is placed in the jar – even accidentally – the Silver Healer simply will not work! It will rapidly flash red to notify the user that the water is not acceptable. This guarantees that your end product will be the purest form of ionic/colloidal silver. The machine is fully integrated and completely automatic. There are no timers to set or finicky adjustments to make. It plugs in with a USB cord, so you can plug it into your laptop or use a battery-operated USB pack, if you like. Of course, should you wish to adjust the concentration of your results, you can easily adjust it to anywhere between about 3 and 20 PPM. It is automatically set at about 10 PPM (these values are approximate and may vary slightly from machine to machine and from user to user). In addition the package comes with a small black square. The little black square is for an optional process called “Gentle Stirring,” described in the attached manual on Page 8. In a short summary, you apply the square to the side of your mason jar and use a low wattage incandescent light bulb to heat the square, resulting in gentle stirring by convection. However, please note that (contrary to the manual) we no longer recommend pre-heating the distilled water; we have found that the most consistent results, long term, are achieved simply by using distilled water at room temperature.